This podcast might not be what you expect. 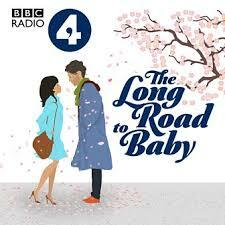 The title The Long Road to Baby suggests that this ten episode run ends in a certain way. Sophie Sulehria (for transparency we do know each other), alongside husband Jonny, sets out to tell the story of her journey to becoming a mother. If this were the podcast you would expect, this would be a long arduous battle, which ends with the happy couple becoming parents. But it’s not that. There’s no happy ending. Yet. The Long Road to Baby starts at the point where they find out that Sophie cannot conceive naturally and then we explore with them, a range of options that are now available to them. Adoption, foreign adoption, fostering, donor egg treatment, or a life without children. Along the way they meet couples that have successfully done all of the above, and try to come to terms with which one might be right for them. Despite the fact that Sophie is a professional reporter she strips away the reporter artifice here, and we get to hear some pretty stark audio. We listen to Sophie and Jonny talking on their long walks in the park and Jonny asking Sophie some very difficult questions she clearly isn’t expecting. They have no answers to their childlessness and each couple they explore a solution with, seems to bring them no nearer. We also hear Jonny on his own, talking to other men in a similar situation in the pub, providing a male perspective on this that is perhaps less frequently aired. Finding out that they could not have children naturally is described in episode one as brutal, difficult and cruel. That could almost be the title of the podcast, and there are some episodes you won’t get through without shedding a tear. But as a series it’s always a fascinating listen with a strong narrative, driven by a combination of Sophie’s powerful storytelling and the couples quiet desperation. The Long Road to Baby doesn’t have a happy ending, in fact there isn’t really an ending at all, but this will certainly give comfort to others on the same fertility journey. Lets hope the road is heading for a good place.